Only pick-up to get a seven-year-warranty as standard, strong 2.2 diesel engine, huge load moving potential. 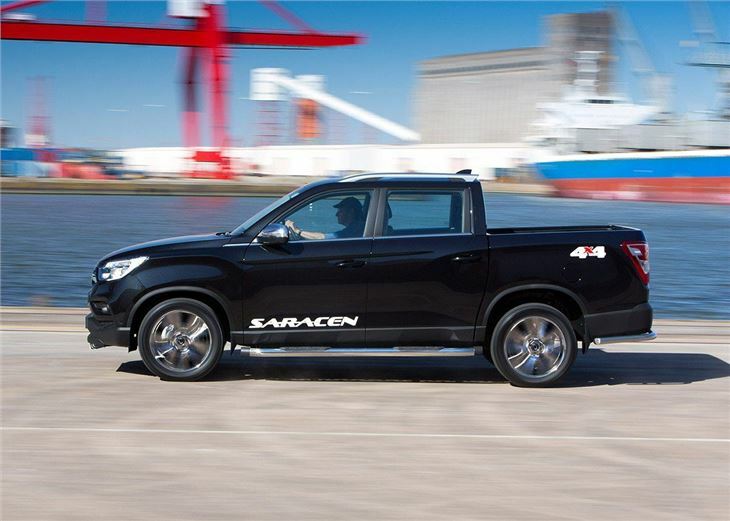 Even by pick-up standards the ride quality is poor, expensive fuel costs, short loadbed. 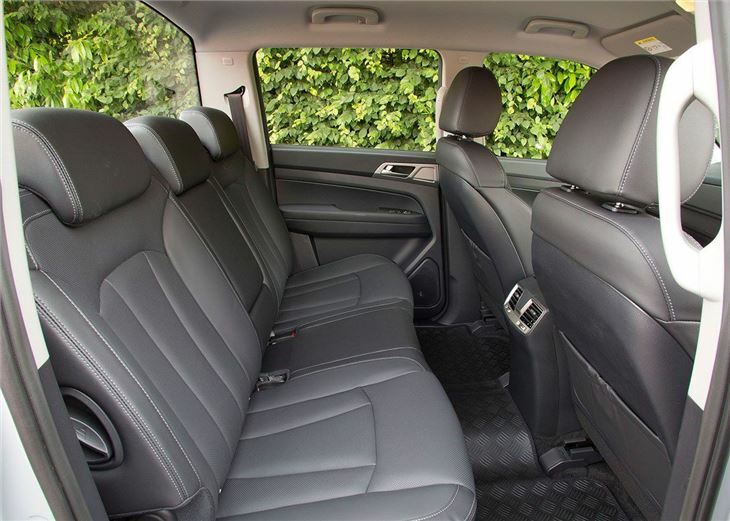 Competitively priced, well-equipped and backed by an unbeatable seven-year-warranty, the SsangYong Musso is a competent pick-up that's easy to recommend. Admittedly, it lacks the refinement and style of its rivals, but it is difficult to deny that the Musso is excellent value for money. 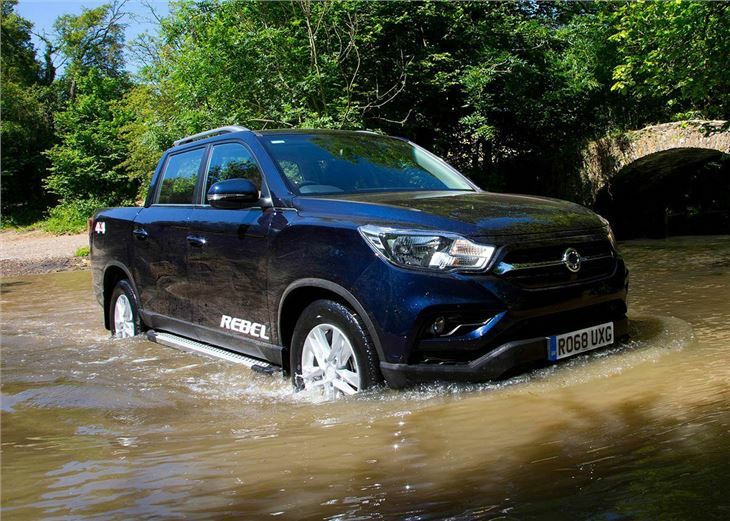 SsangYong makes no bones about the fact that the Musso is designed for businesses who want an affordable and dependable 4x4 one-tonne pick-up. The seven-year/150,000 mile warranty is a first for the pick-up market and provides peace of mind that - should anything go wrong - you will not have to put your hand in your pocket to put things right. 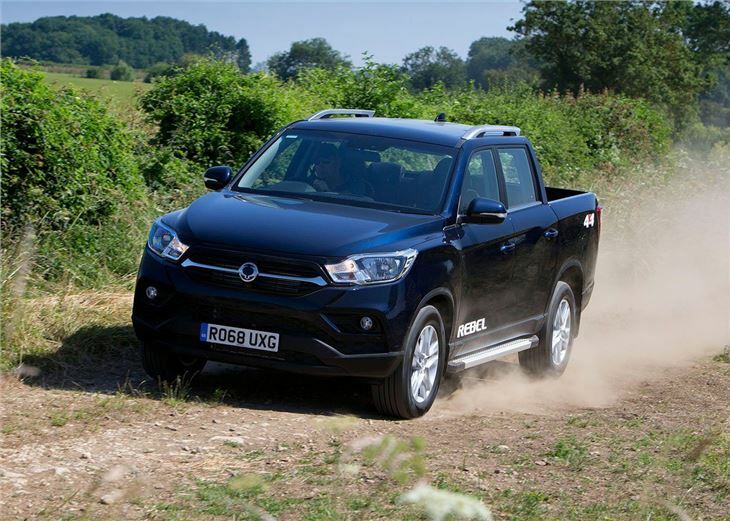 The Musso gets lots of kit as standard, which means even an entry-level model comes supplied with automatic headlights, alloy wheels, DAB audio and a full size spare wheel. 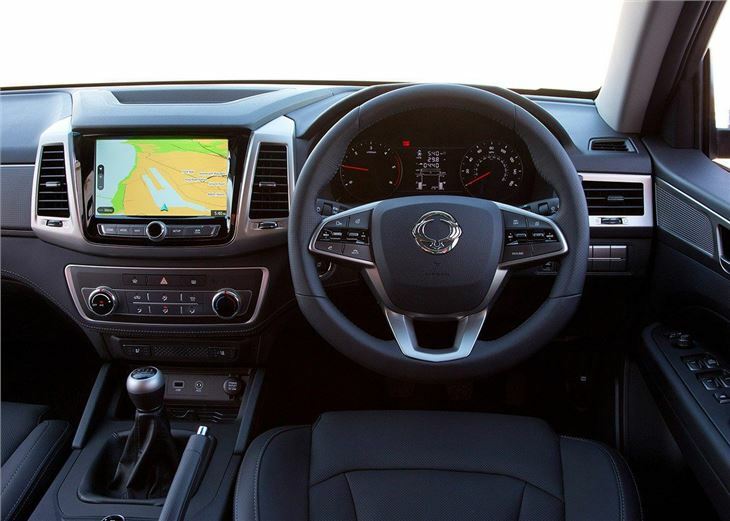 Opt for a mid-spec model and you'll get everything you'll ever need, with roof rails, heated leather seats, touchscreen infotainment and a rear-view camera thrown into the deal. Based on the mechanical underpinnings of the Rexton SUV, the Musso is much more refined than the old version thanks to the use of a coil sprung live rear axle and independently sprung wheels at the front. Both engine and road noise is well suppressed, which means you can travel long distances on a motorway without having your senses rubbed raw by a constant din of diesel. Unfortunately the Musso is not quite so impressive on A and B roads, with the firm but fidgety ride feeding lots of lumps and bumps into the cabin. The Musso has plenty of power; the turbocharged 2.2-litre diesel delivers 181PS at 4000rpm and 400Nm of torque at 1400rpm - 2800rpm. This means there’s no shortage of low-gear pull for navigating off-road and/or pulling heavy loads. It's a pity the Musso is so expensive on fuel, however, with advertised fuel economy a disappointing 32-35mpg. The 1300mm load deck is shorter than the 1525mm you get in the class leading Toyota Hilux, but large enough to carry a Euro pallet weighing up to a tonne. It also comes equipped with 12V/120W power outlets and rotating hooks to help strap-down loads. 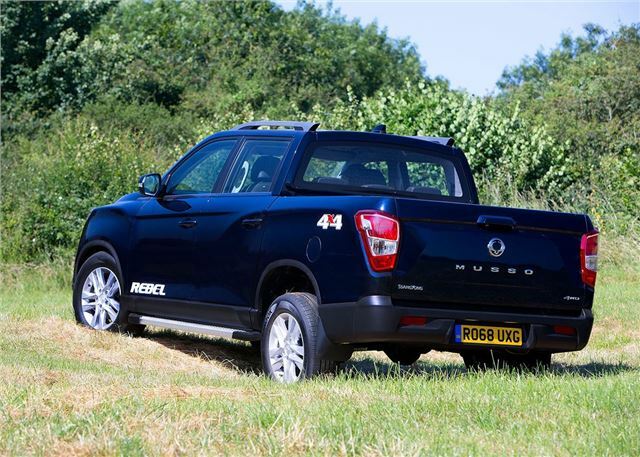 Gross train weights (payload and trailer combined) peak at an impressive 6.7 tonnes, which means the Musso (with the automatic transmission) will carry a full payload and 3.5 tonne trailer - although business owners may need to fit a tachograph to do this. It might not be as good to drive as its rivals, but the Musso has plenty of rugged charm to make it an appealing choice for business operators working to a tight budget. The huge warranty and load moving potential make it a no brainer for builders and farmers, but lifestyle buyers might find it to be a tad too agricultural for their liking.